The second volume of the Church Fathers for lent, for the second week of lent. 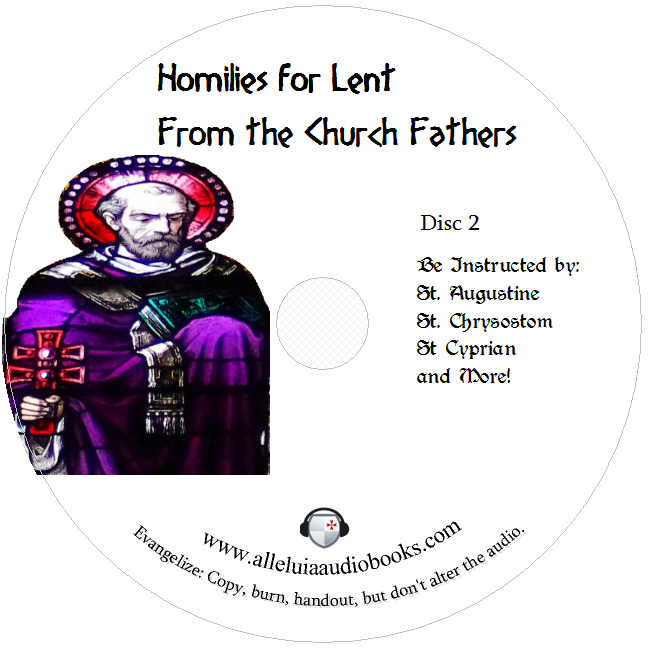 These Catholic Lenten homilies from The Church Fathers will be very helpful for preparing for Easter. The Danger of Evil Words by St. Chrysostom. On Riches by St. Chrysostom. Faithful Stewardship by St. Chrysostom. On Example by St. Chrysostom.